Anonine VPN Review 2019 – Unblocks Netflix but what else? According to its website, this service came into existence around 11 years ago in Sweden and since then, its sole mission has been to empower internet citizens with the right kind of security infrastructure that guarantees their anonymity. As of now, the company has since shifted its base and is now located in the data friendly country of Seychelles. Surely, the service is small in comparison to the industry titans by some distance, however, size doesn’t matter in the VPN domain as long as your basics are right. 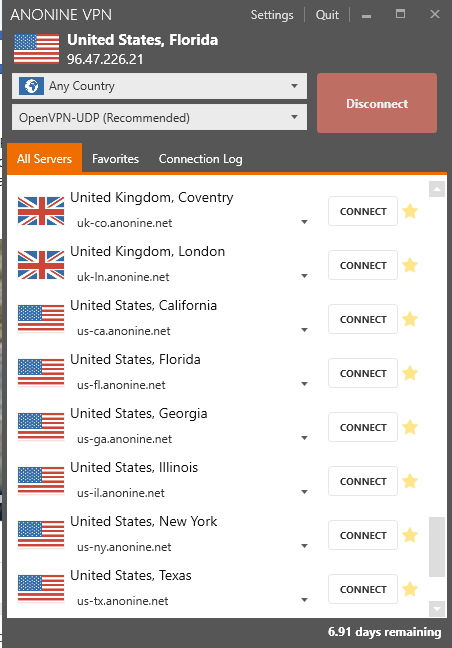 So, is Anonine VPN up to the task? Let’s find out in this holistic review of the service by BestVPN.co! There is no point in offering the best of encryption and features if you store logs as a VPN. Yes, its that important. Under no circumstances can a VPN be tolerated to store data that can be used to locate or identify a user’s online activities. And Anonine VPN is a service that you can trust for keeping absolutely zero logs of your activities. Yes, it does keep your email, account details and even connection timestamps, but maintaining such data is understandable because it allows the service to help users with better service and account facilitation. But, if AnonineVPN wants to better itself in this regard, then it can follow the example of MullvadVPN, which doesn’t require anything, not even your email, to create your account. The logging police are all good, so now lets come to the other components of Anonine VPN security infrastructure. Anonine VPN offers military-grade AES 256 CBC encryption. For those who don’t know about this encryption standard, it’s virtually unbreakable. There is no currently known method to decipher this kind of encryption, irrespective of how much brute force attacks you apply. So, your data, traveling through Anonine VPN’s tunnels, is pretty safe. Out of the lot, OpenVPN is the most secure as it’s not known to have any vulnerabilities at all. It’s also Open Source which makes its security evolve consistently through a dedicated user base which sniffs out any flaws and corrects it before a hack can take advantage of them. IPSec/IKEv2 and L2TP/IPSec are also good, but I don’t recommend you to use them when OpenVPN is available. The speeds might be a bit slower on the latter, but still, anything that lowers your security profile a Big No always. The provider offers a Kill switch feature as well which has become a basic necessity these days as this feature becomes your savior in case your connection gets dropped by killing off your internet right away. This stops your IP from getting exposed and your anonymity for getting compromised. Anonine VPN also passed our DNS leak test with no problems apparently. But, it didn’t do the same for the Web RTC test where it showed that the traffic was passing through at least 4 different IP addresses, which suggests some major problems on this front for Anonine VPN. It still didn’t release our real IP but the results were not satisfactory at all. Anonine VPN is strongly recommended to look into this problem and rectify it or otherwise, it would go on to ruin the otherwise sturdy security you can get from it. Pricing is fast becoming a contentious issue in the VPN domain as the competition becomes fiercer each day with more and much better services entering in the industry. Still, this doesn’t mean that a VPN can’t demand an exclusive amount for its services. If a provider’s service is unmatchable and provides excellent service, then it can sell at any price, no issues at all. ExpressVPN is almost thrice as expensive on most of its pricing plans if we compare it with similar services. But its price has never been an issue because no one service can touch its quality and standards of service. So, where does Anonine VPN’s pricing plans stand amongst all this? I would say, they are quite satisfactorily priced when you compare it with a resoundingly good service that the provider is offering. My personal favorite amongst all of these plans is the monthly deal and that’s because there is a common strategy in the VPN industry to price the monthly plan at exorbitant rates so that it looks expensive in comparison to long term deals. This is a practice I seriously don’t like and it’s a relief Anonine VPN doesn’t follow that. At just $6.99/month, anyone with a short term requirement can get a subscription to this service without much of a commitment or thinking. The next best plan is the Yearly Deal in which you get 12 months of subscription at just $47.88 billed once. This puts the monthly cost of this plan at $3.99, which might appear a bit expensive to you if you compare it to other long term plans offered by major providers. But do notice here that since this plan is limited to just a year’s worth of subscription, you wouldn’t be paying much in the overall bill as compared to the price you have to pay for a plan that has lower per month cost but requires you to subscribe to much longer periods. For e.g. NordVPN’s 3-year plan will cost you $2.99/month, which seems lower than Anonine VPN’s price for its best plan. 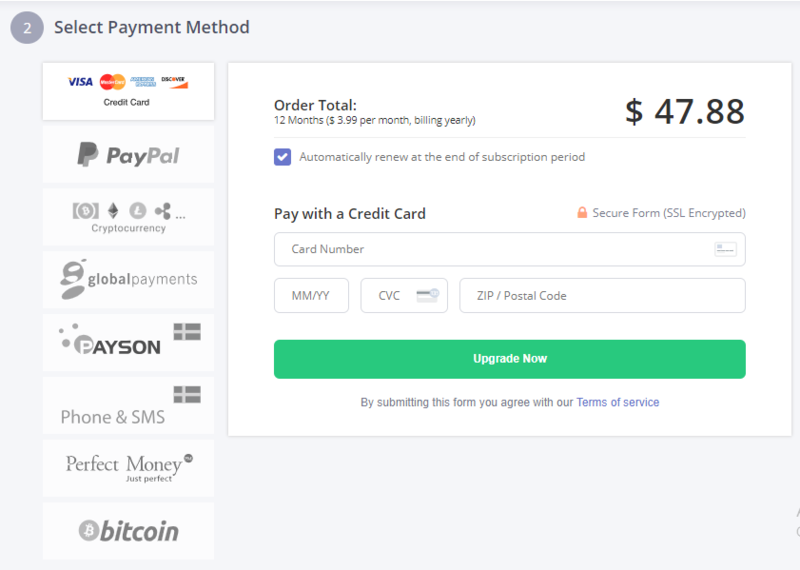 However, If you look closer, then the NordVPN 3 year deal is billed once at $107.55, more than double the amount you will have to pay to buy Anonine VPN’s 1-year plan. These payment options are exhaustive enough to facilitate customers through nearly all channels possible. The most impressive feature of the payment options list is the degree of flexibility that Anonine VPN has allowed in paying through Crypto-currency. From Bitcoin to Monero and from Ripple to Ethereum, AnonineVPN accepts all popular cryptos, which is great as it not just allows users to pay anonymously but makes it easier for them to pay for the pricing plans by means of the growing crypto market. One thing to note here is that Anonine does offer a 7-day money back guarantee. You might not find it anywhere on their site, but its there because its support informed us about it. Whether there are pre-conditions that make this offer invalid or not, I don’t know as yet because AnonineVPN doesn’t have a dedicated refund policy page, but the best part is that they do offer a refund if you don’t like the service, allowing us to tick one more box of positive in its favor as a service which values customer experience and facilitation. With over 800+ servers in 32 countries worldwide, Anonine VPN’s server infrastructure offers good diversity. Yes, there are no servers in regions like Africa or not much in Central Asia, but that’s understandable because not a lot of people connect from those regions. The best feature of not just Anonine VPN’s server park but of the whole service, in general, is that it can unblock Netflix US, a feat not easily achieved by the majority of VPN services since the Netflix VPN ban came in to place. The servers also support Torrenting and P2P activities which is a great feature and makes this service a serious contender for users looking for a provider that can assist them in optimizing their entertainment-related activities like streaming and Torrenting on the internet. The provider is far from a perfect one and there are a few chinks in its armor that contribute towards making it a lesser server in the modern VPN industry. But none of them is more problematic than not having a live chat window. The modern customer doesn’t like to generate tickets, which is the primary method through which you can receive support or guidance at Anonine VPN. But there is a reason to remain hopeful as live chat will soon be introduced by the provider. When we enquired its support on the issue, they informed us that they are working on it and it’ll roll out within the next month. Live chat is fast and instantaneous, just like how the modern customer likes it and by developing it, the team at Anonine VPN will be doing themselves a big solid. In yesteryears, VPN didn’t need to have good, clean client apps or even many of them as users only needed for the software to give them anonymity on the internet and that was it. But, times have changed since then and now, without a good client with an interactive and well-built UI and UX design, even the best VPN service won’t be any impressive. 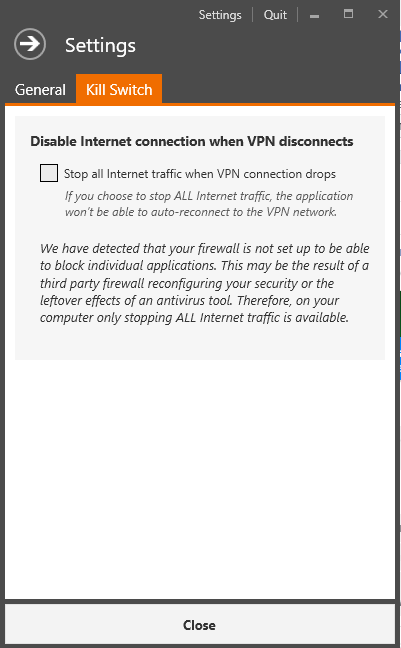 So how are Anonine VPN’s client apps for that matter? Firstly, Anonine VPN offers four major client apps, all for the major platforms like Windows, Macs, Android, and iPhone. So, no niche apps like those for Firestick or Kodi, which is a serious turn off as many users are looking for such client apps due to the rise in demand and popularity of such streaming devices and software. Now for the design part, the interface is clean but feels clumsy. 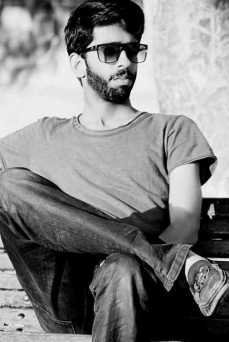 The client isn’t appealing or doesn’t give off a fresh feel like that of ExpressVPN’s client. The Windows client feels like software from 2007, not 2019. The part going in its favor is that it’s not cluttered at all making navigation across the client bearable. But still, there is a lot of room for improvement where this flat client can get a major makeover. AnonineVPN has its moments and it seriously has the potential to make itself count in the industry, but only if it takes cares of its minor flaws. Even they can be worked with but the problem with the Web RTC leak test needs to be dealt with fast as it is raising a big question on the security that Anonine VPN affords to the user. Live chat needs to be added in order to make support more modernistic and the client apps need to stop looking like they’ve been just copied on to my D-Drive from a CD that works only on the Windows 2007 system. Netflix US unblocking, the zero logs policy, Torrenting support, affordable and meaningful pricing plans are the best parts of its service and out of them, the Netflix can become a real USP for the provider in the upcoming times. A good enough service with a strong reason to improve! So do I recommend it? Yes, but still partially. For Netflix folks, yes this VPN is good for you, but if you are looking for top draw security, then the performance is good but a bit shaky, so it’s totally your call to trust it or not. If you like this review or even if you disagree with it, do tell me about it in the comments thread below.